Since 1983, the Friends of the Russell Library have worked to meet the needs of the Library. Thanks to money from membership fees, donations, and book sales, the Friends have contributed over $500,000 to improve Russell Library Services. The Friends provide funding for programs, equipment, and services that would not be available through the Library’s operational budget, such as the popular Museum Passes, which provide free access or discounts to nearly 20 cultural, educational, and recreational facilities around the state. Contact the Friends using the form at the bottom of the page. Simply print the membership form, fill it out, and mail it, along with your check to cover the type of membership you desire. Forms may also be dropped off at the check-out desk of the Library. Gifts in any amount are gratefully received by the Friends and are disbursed along with other funds to support library activities. The Friends of Russell Library is a 501 (c) 3 organization. Donations are tax deductible to the full extent of applicable law. You may also may leave your check with a library staff member. 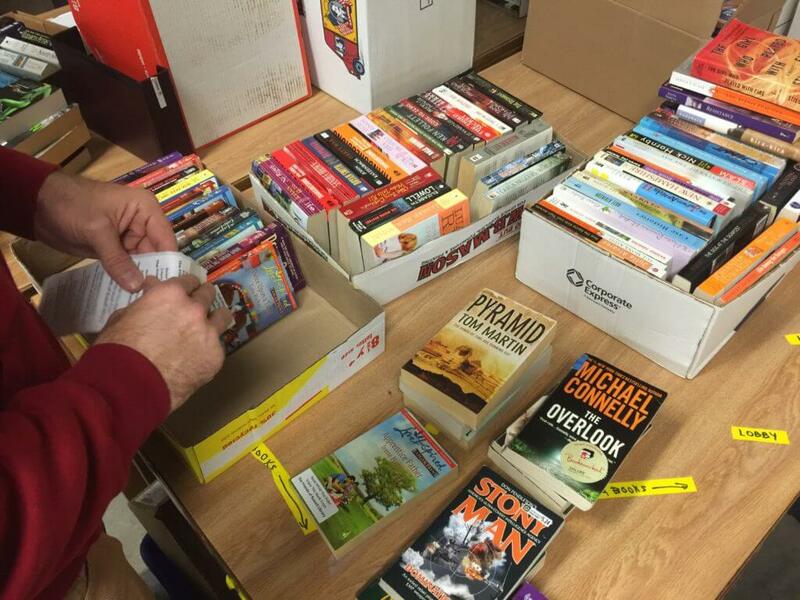 The Friends volunteer for used book sales, home delivery, and special events. Have fun! Meet new people and support the Russell Library. On your first visit to smile.amazon.com you need to select a charitable organization to receive donations from eligible purchases before you begin shopping. Search for Russell Library, Middletown CT.
Amazon will remember your selection, and then every eligible purchase you make at smile.amazon.com will result in a donation to the Russell Library.